Our Parish covers the villages of Maryburgh & Conon Bridge, along with more rural areas including Loch Ussie, Mulbuie, Easter Kinkell and Alcaig. From those who have lived on local crofts for many years, to young families in our new housing developments, it is a privilege to come together as a Church family each Sunday. 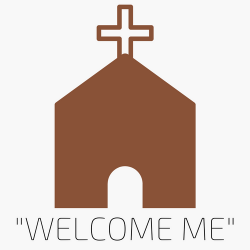 We aim, as a Church, to serve Christ in our parish in a number of different ways. This may be getting together on a Sunday, meeting people in their homes, visiting schools and youth groups, care homes and hospitals – the list goes on! Stephen and others are involved in working with our local primary schools – Ben Wyvis, Mulbuie and Ferintosh. This is usually in the form of assemblies, contributing to teaching about Christianity and supporting other school events . We also contribute to the learning & time for reflection at St Clement’s School in Dingwall. Pastoral visits are made by Stephen and the Pastoral Care Team to Seaforth House, Urray House, Wyvis House, Fodderty House, Ross Memorial Hospital (Dingwall) & Raigmore Hospital (Inverness). We encourage local organisations to use our premises and the Ross-shire Flower Club, Beaver Scouts, Institute of Advanced Motorists, local Scottish Country Dancing class and Angling Club all use our premises on a regular basis. Members of the congregation are involved with other local organisations, including Conon Ladies Football Club and Conon and Maryburgh Scouts. Members are also involved in the Community Councils of Maryburgh and Conon Bridge, and in the running of both Amenities Associations. They also help run lunch clubs in both villages. We are proud to be a Church at the heart of our local communities.